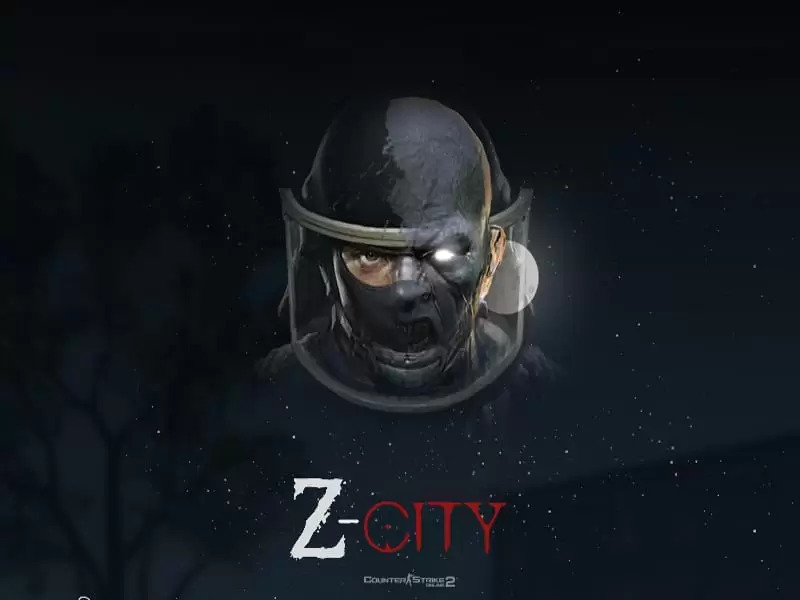 Zombie City, or simply Z-City is a battle royale mode whereby humans fight against one another to survive. Z-City comes in two separate operations, solo and duo. On solo, everyone fights on their own. On duo, a player teams up randomly or with a friend, and fight against other teams although friendly-fire is enabled. 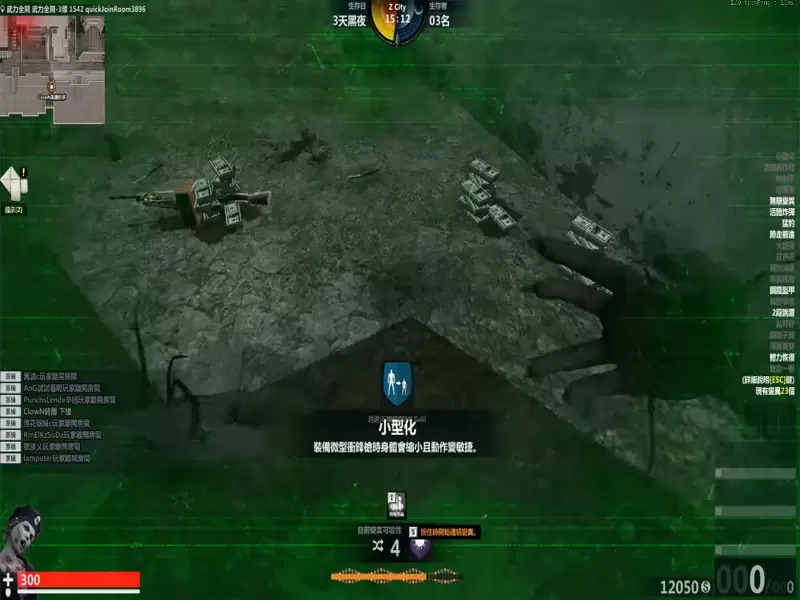 A game supports up to 32 players. Once the 120-seconds warm-up ends, everyone starts off unarmed and start locating supplies. Players killed remain dead for the remainder of the game but they are able to spectate other survivors. Each player starts with 18 slots, and 12 additional slots locked. They are unlocked by collecting the “Inventory Expansion” item found inside loot chests around the map. Collected items are rearrangeable and droppable if desired. Loot chests contain an assortment of items, including cash, weapons, health packs and power-ups. 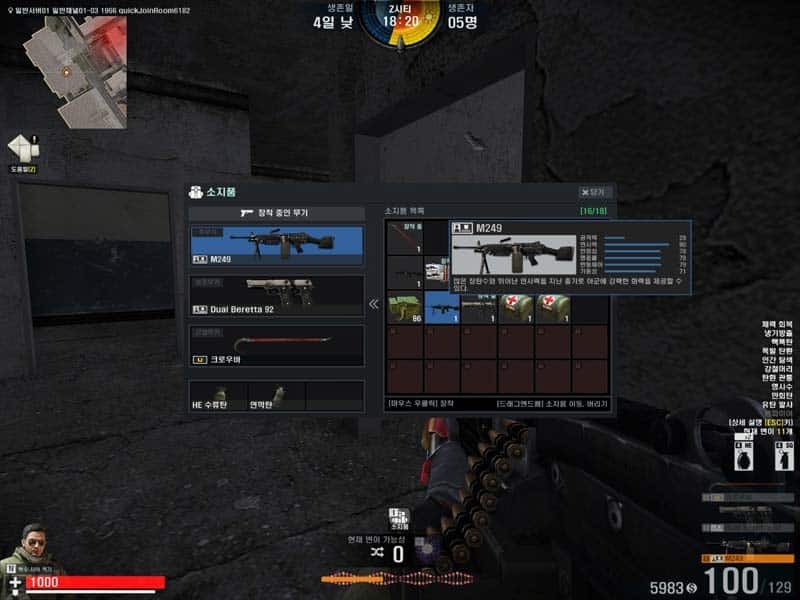 By collecting cash, players make purchases on weapons from a designated shop. There are no restrictions imposed, provided they are unlocked in their inventory. Power-ups are generally enhancements that strengthens a human’s abilities, although their availability in every game is totally random. Some are majorly game-changing, such as seeing humans through walls, increased footspeed and health regeneration. On the other hand, zombies can also collect and retain power-ups. However this also means that human-exclusive ones (e.g. unlimited ammo for firearms) obtained before the transformation will become in-active, and vice versa. 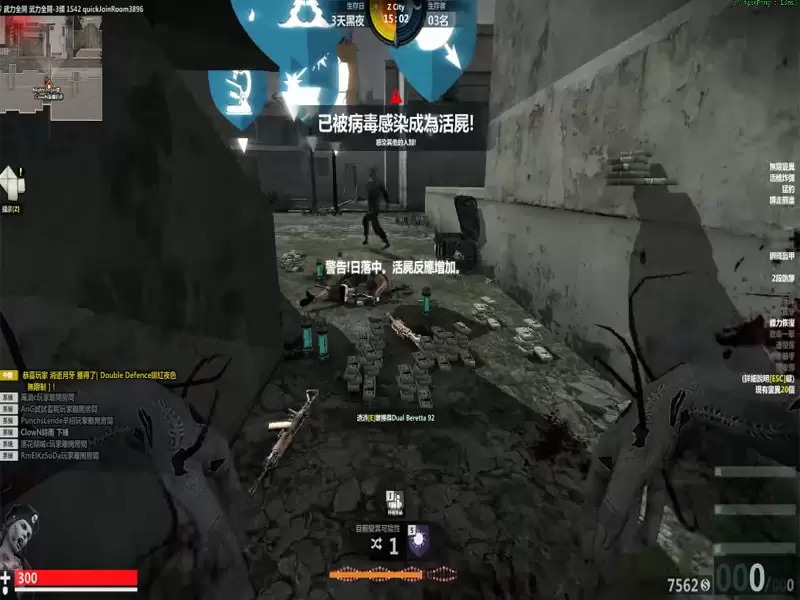 Once dead, a player drops everything looted, including power-ups. The game revolves around a day-night cycle, increasingly ramping up the game’s difficulty as the days go by. This, as well decreases the play zone in the form of a purplish hemisphere at an increasing rate which only happens at night. At the same time, zombies become more aggressive and start chasing human survivors that happen to be close by. Players that fail to stay within the perimeter start losing health points by the second. Besides hiding from trigger-happy humans, there are roaming zombies to avoid. These shambling creatures, alone or loosely-grouped do not pose much of a threat since they move pretty slowly, but humans happened to take damage from one stand a chance to be infected once night falls. Upon transformation, zombies run at a much faster pace and have more health points. They can infect other humans once they come in contact. Zombies retain the ability to loot items. All surviving zombies revert back to their human forms once the next days sets in.